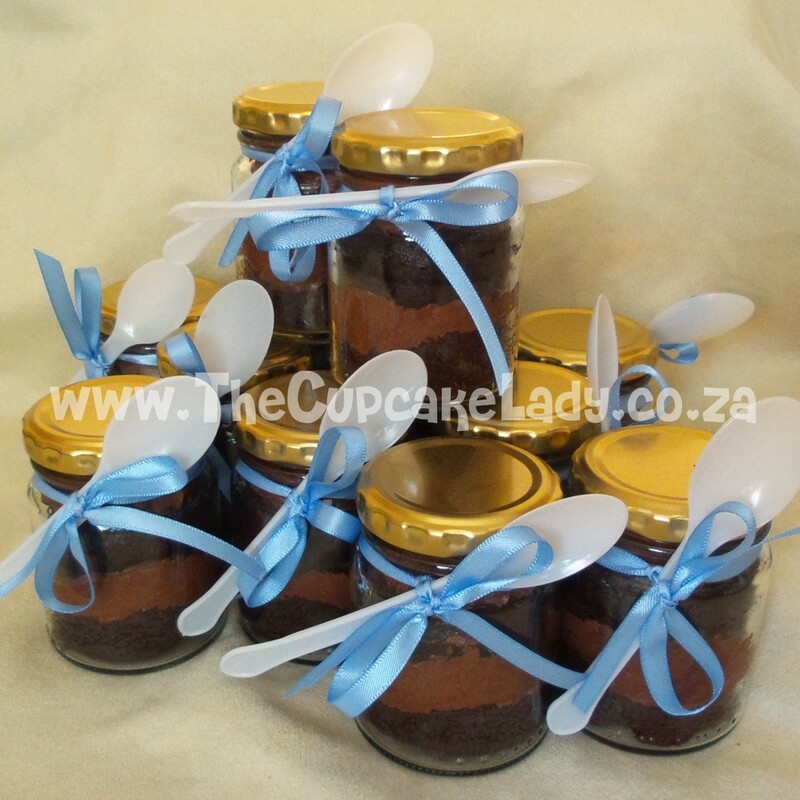 I lov how pretty this chocolate cupcake-in-a-jar order looks with the white spoons and blue ribbons! 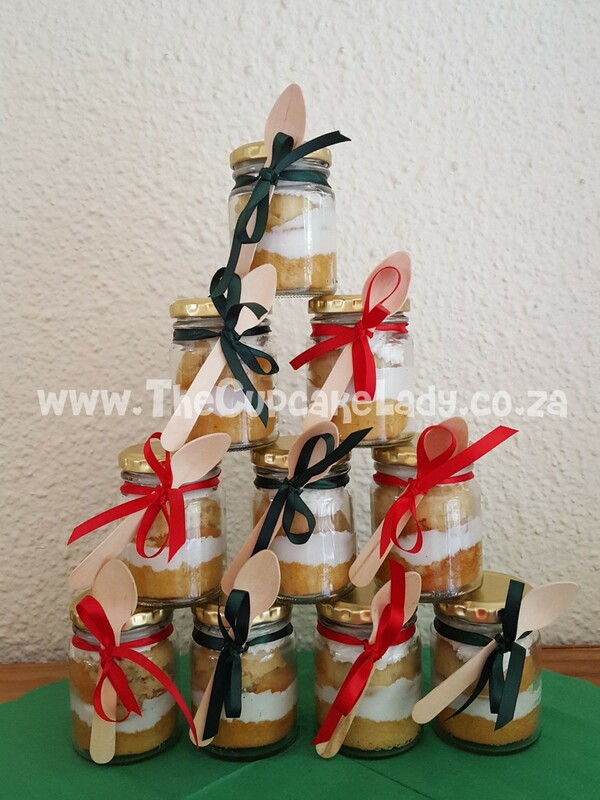 With green and red ribbons on the jars, these vanilla cupcakes with vanilla buttercream look especially Christmas-y, don’t they? 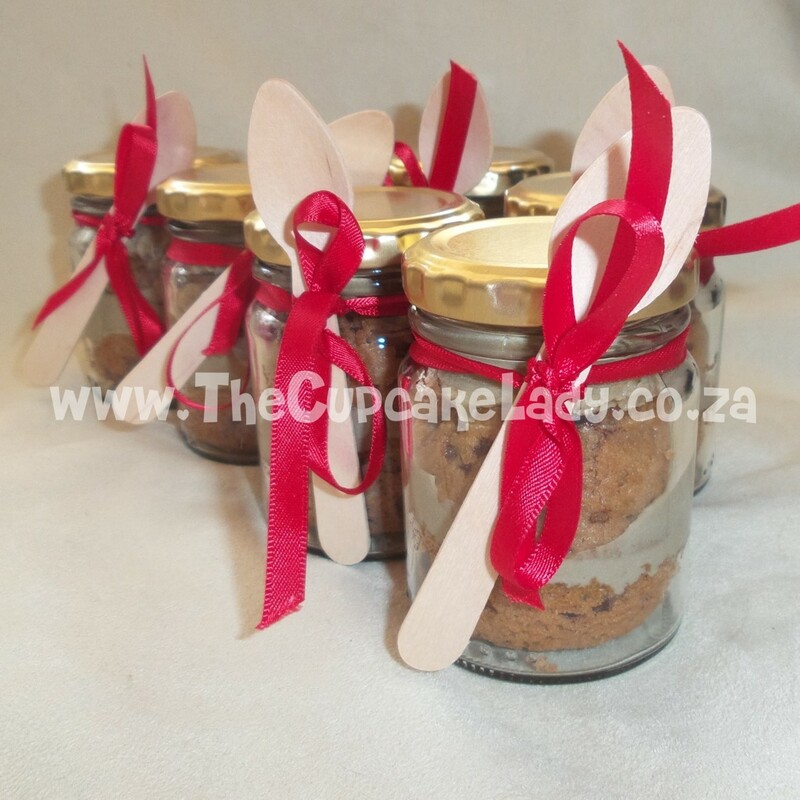 Comments Off on Cupcake-in-a-Jar For Teacher! These cappuccino cupcakes with cappuccino buttercream made perfect end-of-year teacher gifts for Adele’s daughter! 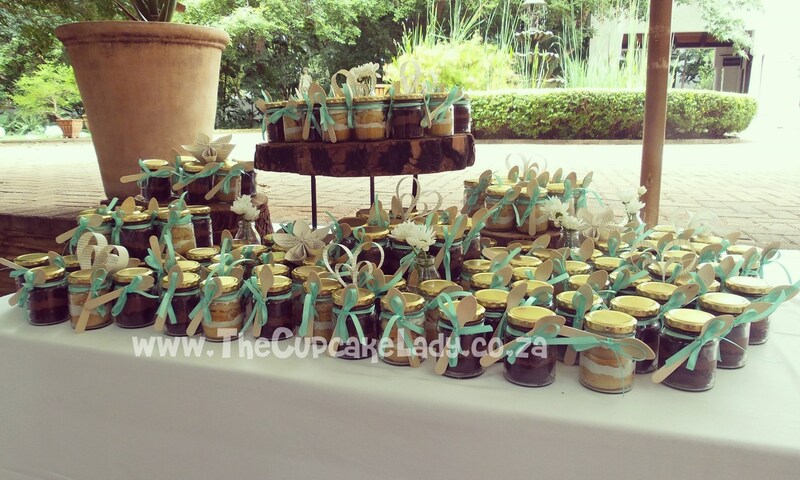 Annique and Chris’s got married at Kleinkaap last weekend, and I delivered these cupcake-in-a-jar wedding favours — chocolate with chocolate buttercream & vanilla with vanilla buttercream — a couple of hours before the wedding. 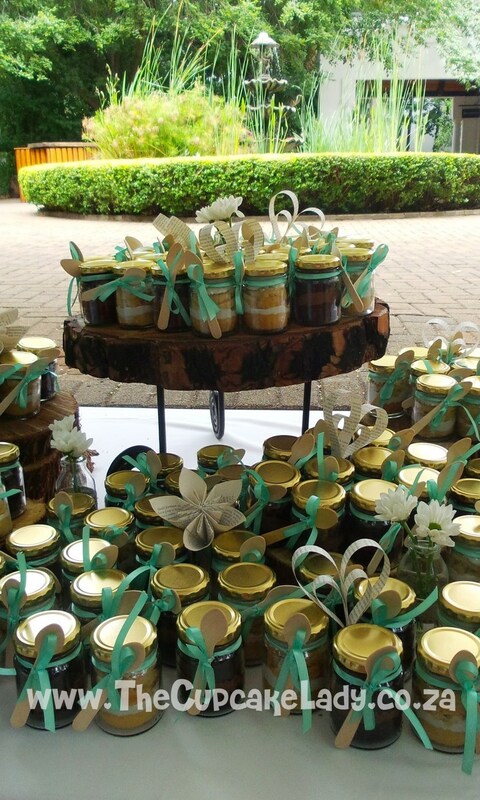 Comments Off on Wedding Ruffles and Cupcakes-in-jars! 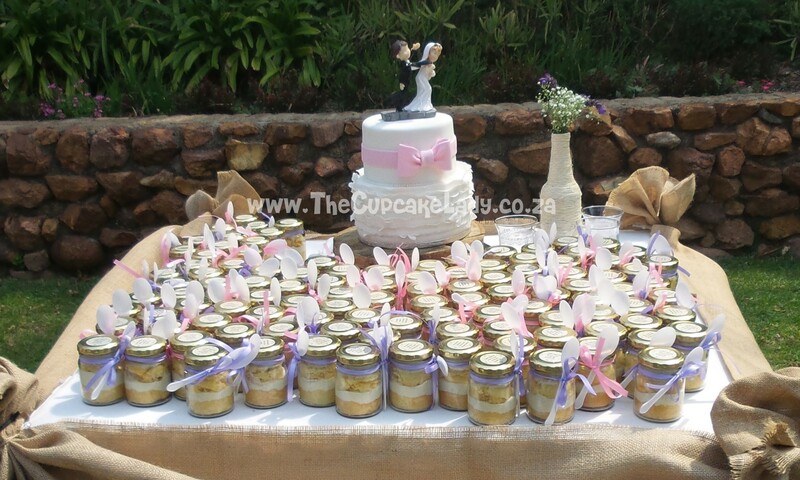 Tamlyn & Ruan got married at The Moon and Sixpence on Wednesday, and they treated their guests to a cupcake-in-a-jar while they had their photos taken. The jars are filled with white velvet cupcakes and cream cheese icing, and the “thank you” message sticker was designed and printed for me by Snapping Turtle Graphic Design & Printing. The two-tiered cake is chocolate on the bottom and vanilla on top, with sugar paste ruffles on the bottom tier and a pink sugar paste bow on the top tier. The cake topper was supplied by the bride.